Bountiful Harvest Gardens is a small mountainside paradise located high above Manitou Springs CO where we are dedicated to growing more abundant lives through the people-plant connection. Working with plants satisfies both body and soul. Man as a gardener is active working with plants to enhance or modify growth. From working with plants man learns to understand life and the natural rhythms that maintain it. Regardless of ability or disability a pursuit of gardening can enhance physical condition,relieve tension, and provide the individual with a sense of accomplishment. For a gardener with a physical disability gardening provides for development in four areas, physical, emotional/ psychological, social, and intellectual. Gardening allows training of muscles while enjoying fresh air. Range of motion, strength, and endurance of muscles in arms,hands, back, and legs are all stimulated. Improvements are also possible in coordination, stamina, and flexibility. Gardening also gives pleasure and gratification through all senses. Your eyes are stimulated by beautiful colors and shapes, your ears by sounds of wind, trees, birds, and water. Your sense of smell identifies flowers, fruits, herbs, and vegetables. The many varied textures of the plant world give your sense of touch a real adventure. Most importantly taste is stimulated as you enjoy the fruit and vegetable rewards of your labor. Self esteem and self image are enhanced by a sense of accomplishment, enthusiasm, and concern for the future. To the disabled gardener who has been dependent on nurturing caregivers over time the opportunity to asssume the role of caregiver may be life changing. Learning opportunities found in the garden plot allow you to develop new powers of observation, curiosity, and creativity. New skills learned here have a profound effect on problem solving and decision making abilities. The therapeutic connection between man and plants has been known for many years. Systematic study and application has advanced this ancient art of healing to become the profession of horticultural therapy. At Bountiful Harvest Gardens we are dedicated to sharing the benefits of nature's growing wonder with everyone, able bodied or profoundly limited. Information, tips, suggestions for gardening projects and favorite garden stories are all welcome additions and reader contributions will be appreciated. A primary goal of the gardens will be an ever growing service offering horticultural therapy programs to hospitals, nursing homes, and assisted living facilities where many are no longer able to kneel in the dirt and continue life long gardening hobbies. 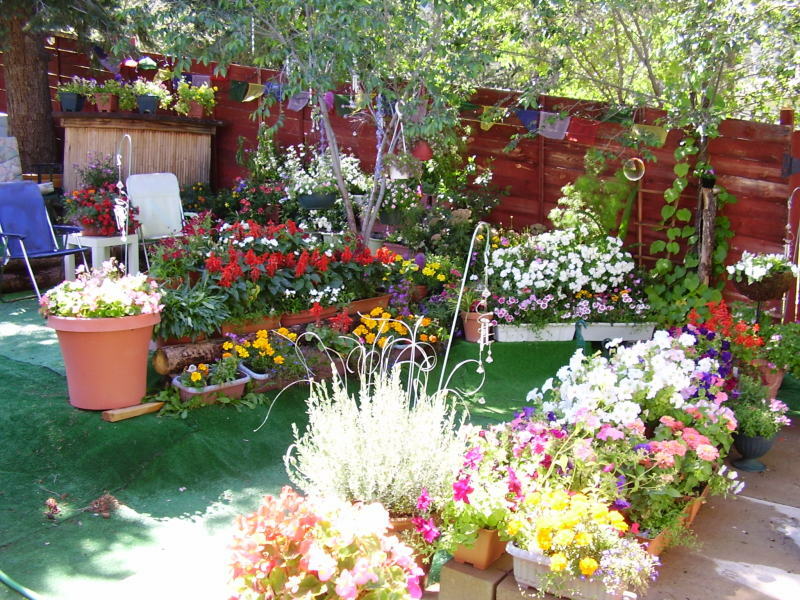 Instruction in container gardening , raised beds, and hydroponic table gardens have demonstrated renewed gardening opportunities to some who had given up favorite summer pastimes. Please continue to watch us grow in this area. Although we certainly don't consider ourselves storekeepers or salespeople we occasionally like to share homespun products of our gardens in the spirit of a farmer's market. Plese visit our products page to see current listings. We defer sales of merchandise and services to friends that have served us well and happily share links to favorite suppliers on the links page. Thank you for visiting our gardens.